The coastal town of Galle lies about 116km away from Colombo, and takes slightly over two hours to arrive by car from the airport. While modern developments have taken place all around the town, it still retains much of its charming historical atmosphere. Galle Fort, rich in cultural heritage from the Dutch era is one of the highlights of the town, along with cultural attractions like the Dutch Reformed Church and Martin Wickramasinghe Folk Museum Complex. 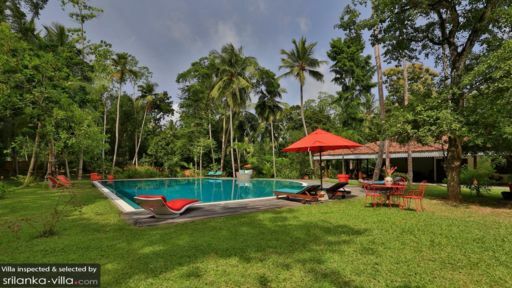 Your Galle villa will transport you into a different era altogether with its beautiful colonial-style architecture, immaculate interior and lush, sprawling garden. 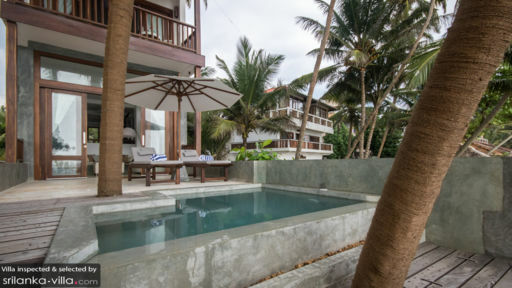 These villas are scattered all around the town, providing vacationers with a wide-ranging variety of locations to choose from - from beach villas nestled along the coast to hidden gems tucked away in the heart of the city. Whichever you opt for, you’ll enjoy all the perks of residing in a luxury property, like impeccable service, ultimate privacy and a full range of modern amenities. Exploring Galle Fort is a must-do in any villa traveller’s itinerary. This UNESCO World Heritage Site can be explored through various means - by foot, bike or a tuk tuk. A walking tour uncovers its history, character and sea views, letting you soak up the old town’s historic houses, churches and colonial architecture at a relaxed pace. You’ll cover more distance and attractions with a bike tour, and catch a glimpse of the locals and fishermen as they go about with their daily activities. Elegant boutiques line the town’s charming street, selling a variety of carefully crafted accessories, ornaments and art works. Some of our favourite shopping haunts include Sithuvili Gallery, Dutch Gallery (located along Church Street), Orchid House and Pedlar's Inn Jewellers. A decadent spa ritual is a great way to unwind after your spree; there’s Spa Ceylon along Lighthouse Street and Galle Fort Spa at Pedlar Street in the town centre, but if you’re looking forward to complete relaxation back in the comforts of your villa, have your villa manager call in a therapist for a private massage treatment! Galle throws out a wide variety of options for dining - from charming cafes to high-end establishments. Feast in style at the swanky Amangalla, soak up the relaxed vibes at Pedlar’s Inn Cafe or savour Mediterranean fare at Chambers - so named as it was once the official chambers of an attorney. There’s also the option of dining in at your villa, complete personal chef and housekeeping service. Hop into a car for family day trips out to some of the best attractions on the island! The coastal town of Unawatuna is a 17-minute drive away, while a longer drive (lasting about an hour) will take you towards the Instagram-worthy coasts of Mirissa and Weligama. Take a boat safari through Madu River (an hour’s drive away) or bask in nature’s beauty with a hike through the Kanneliya Forest Reserve (one hour and 15 minutes by car). Other notable attractions in the area include Yala National Park (three hours and 30 minutes by car) and Sinharaja Forest Reserve (two hours and 30 minutes by car).